Integrating cultural education into the home and school lives of our children promotes their cognitive, emotional and motoric abilities. 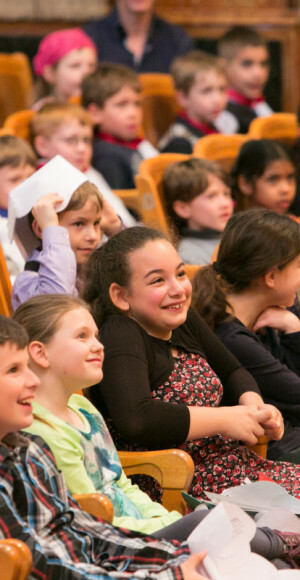 The organisation KULTUR FÜR KINDER has set itself the target of supporting every child’s right to active participation in cultural life, in line with the UN Convention on Human Rights. 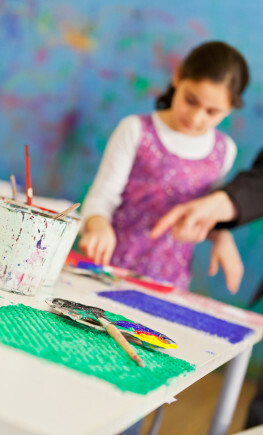 The organisation KULTUR FÜR KINDER has taken on the task of supporting teachers with various projects to integrate art and culture into the curriculum. On the one hand, the organisation works as a mediator between schools and reputable cultural institutions, and on the other hand finances show tickets and workshops. Together with the cultural organisations, KULTUR FÜR KINDER also develops new ideas and projects to promote a comprehensive and sustainable cultural education for children.